Our Certification Lab instructors talks about how to work with church leadership and make sure you have a seat at the table as a church communicator. This is one of the topics covered during our Certification Lab. 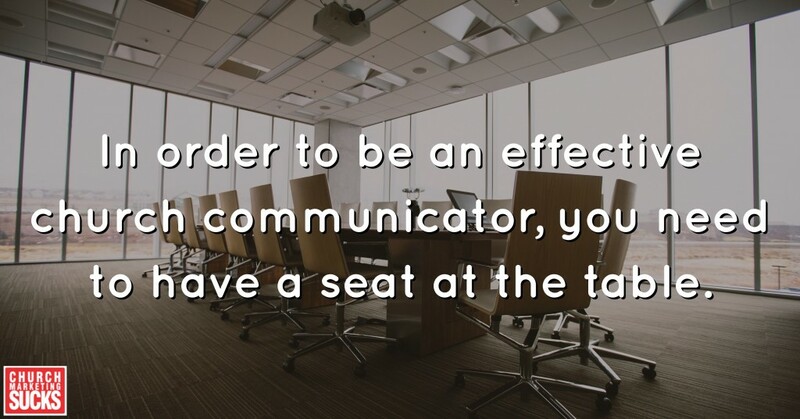 In order to be an effective church communicator, you need to have a seat at the table. This video is from a 2015 Google Hangout with our Certification Lab instructors. You can watch the entire hangout. Check out our upcoming roster of Certification Lab events and consider attending to soak up this kind of insight and encouragement. Get a taste of what you can expect at Certification Lab with our round-up of Certification Lab resources.